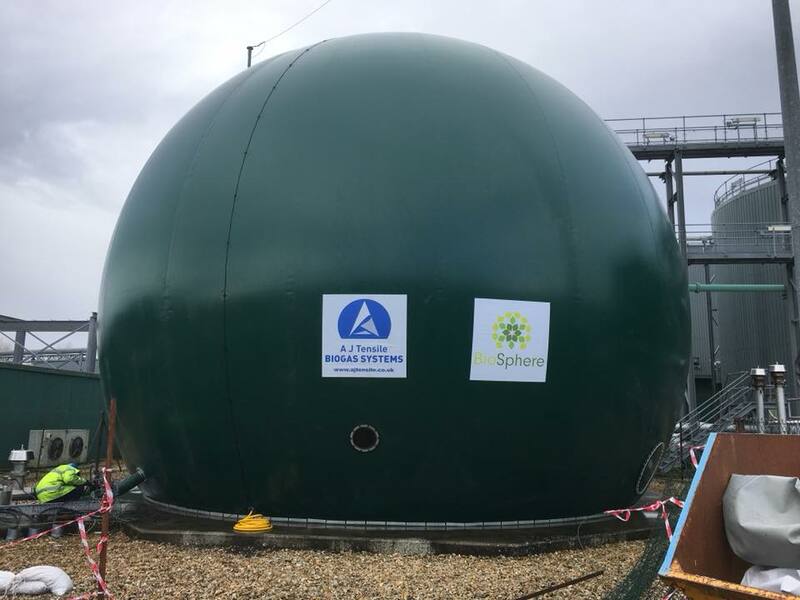 Our Biogas and Manufacturing divisions collaborated recently to complete a 975 cubic metre Biosphere gasholder at Sandown on the Isle of Wight for Southern Water and Barhale Trant Utilities LLP. This was to replace an existing unit that had come to the end of its long and happy life, and our new design offered improvements by having no gap between the inner and outer membranes. The installation went smoothly despite adverse weather conditions where the whole site was blanketed in thick snow, and our installation crew worked closely with the client to ensure that delays were kept to a minimum. 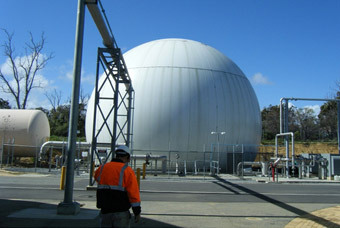 The gasholder went into full operational service only a week after the installation was completed. 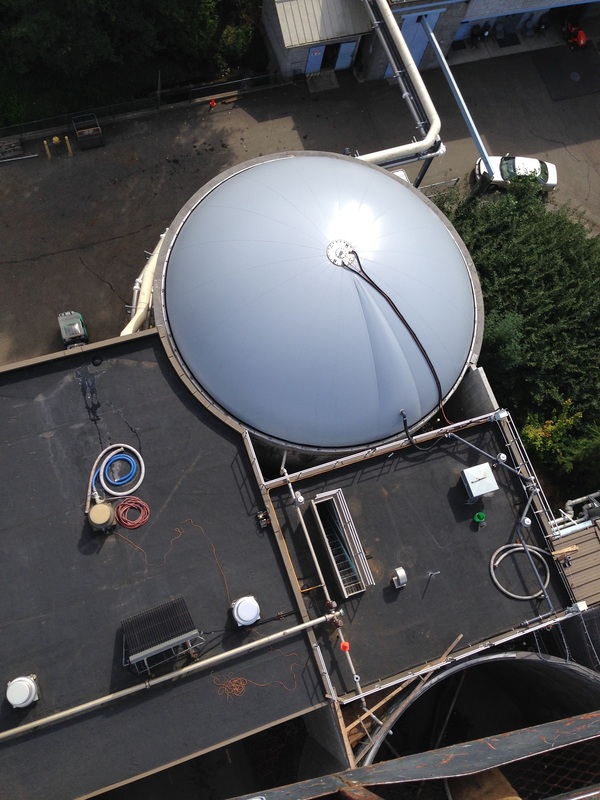 Our Biogas and Manufacturing divisions recently completed a joint Biogas project in the USA for WesTech Engineering. 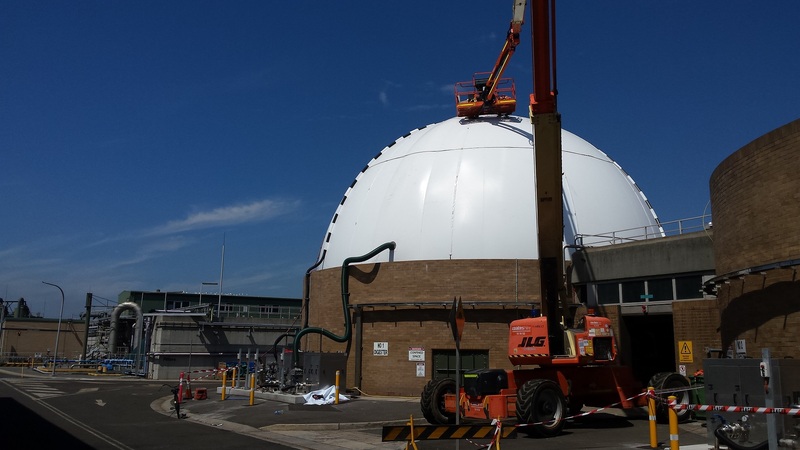 Located in Rahway, New Jersey, the tank-mounted BioSphere gasholder has a capacity of 1,350 cubic metres with a base diameter of over 23m and a height of over 6m. This project is the first of three phases for Rahway Valley Sewerage Authority, an autonomous agency that owns and operates a trunk sewer system and a wastewater treatment facility in Rahway, New Jersey. The RVSA currently serves more than 250,000 residents and 3,500 industrial and commercial customers in 14 communities in central New Jersey. AJ Tensile Biogas Systems and AJ Tensile Manufacturing Ltd will also be manufacturing BioSphere gasholders for Tank No.2 and Tank No. 3. Our Biogas division is recruiting! 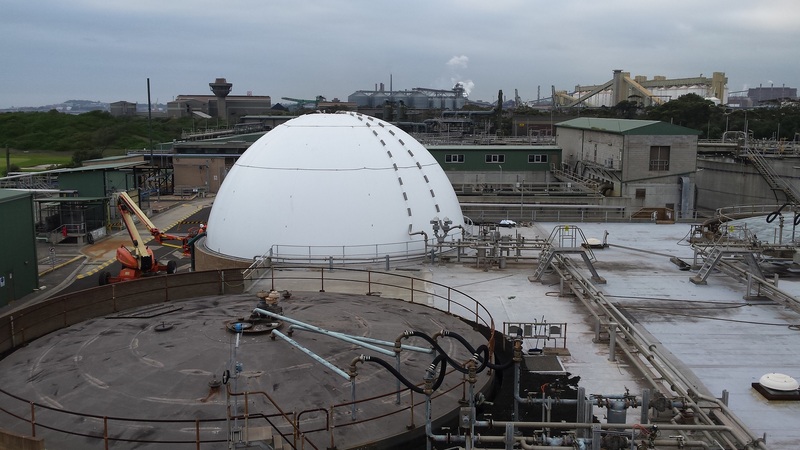 This article by James Brockett originally appeared in the May 2018 Water & Wastewater Treatment newsletter, and is reproduced with permission. 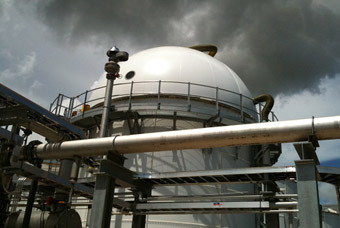 A J Tensile Manufacturing Ltd fabricated the biogas domes at our manufacturing plant in Caldicot, South Wales. The £60M scheme changes the way the company treats waste before generating green power and will make the process considerably more efficient, meaning the amount of clean energy generated will increase by almost a third. More than half of the plant is now up and running and it is expected to be fully operational by the end of the summer. Severn Trent said the Minworth site already generates enough clean electricity to power the equivalent of 11,000 homes and enough gas to heat 4,800 homes every year, with this set to increase as the THP comes online. 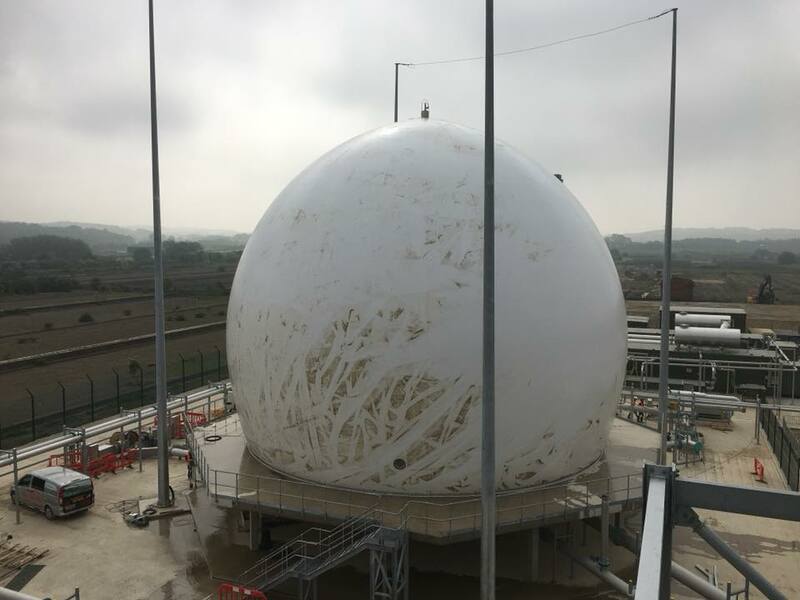 David Nyul, who is leading the project for Severn Trent, said: “It’s really exciting to see this cutting edge technology starting to become operational. The process works by heating sewage sludge to 170°C and then pressurising it. 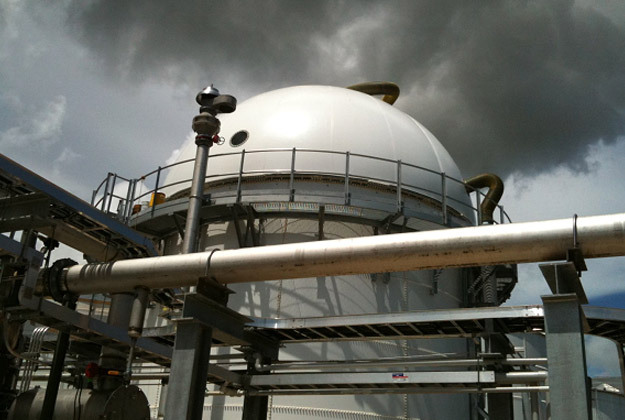 The thermal hydrolysis process has an additional benefit as the leftover solids can be classified as “enhanced” status fertiliser and could potentially be used in the production of crops for human consumption, Severn Trent said. 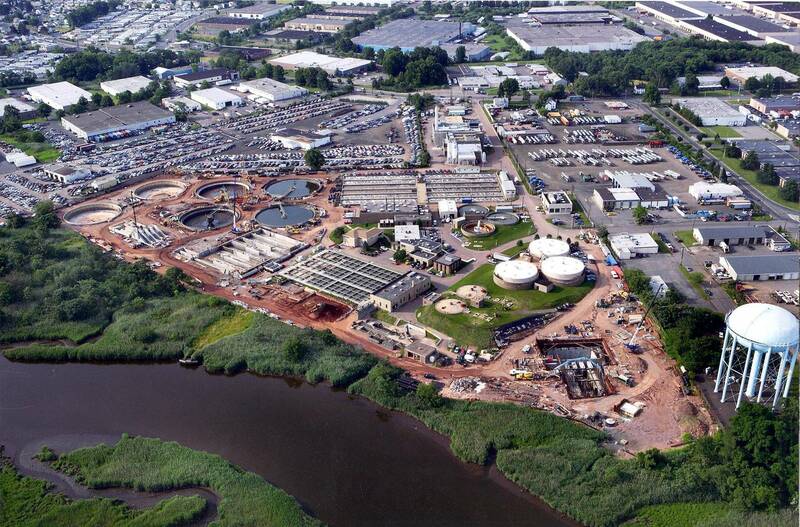 Nyul added: “Minworth is our biggest sewage works and treats waste water from more than 1.6 million homes and businesses across Birmingham and the Black Country. The technology we have already generates both power for use in the works and gas for injection into the national grid. “The bio-gas we create through this process will both be used to generate electricity and to be treated at our gas to grid plant on site to make it suitable for domestic use before being injected into the grid where it will be used by local homes and businesses. “The new THP will increase our generation which is good for Severn Trent, for our customers and for the environment.” Severn Trent aims to generate 50 per cent of the energy it uses by 2020. The company announced plans to invest £100 million to “get ready for the future” as it posted its latest set of financial results on 23 May. AJ Tensile is seeking practical self employed sub-contractors to assist us with the installation of various projects (predominantly biogas membranes) throughout the UK. CSCS accreditation is a must, along with a hands-on and flexible approach. Please email gary@ajtensile.co.uk expressing your interest. 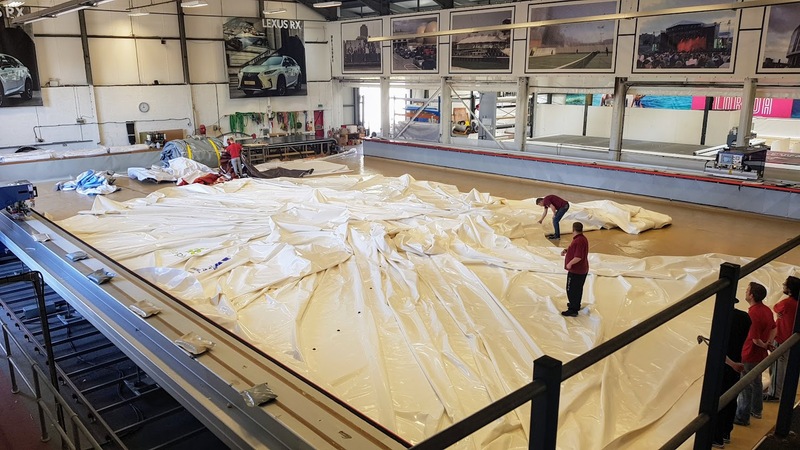 This 3890 cubic metre slab-mount BioSphere gasholder is getting final checks at our production facility before being packaged up ready for installation at Knostrop Sludge Treatment Facility in Leeds. Our team will be installing it over a period of two weeks for our client Black and Veatch. 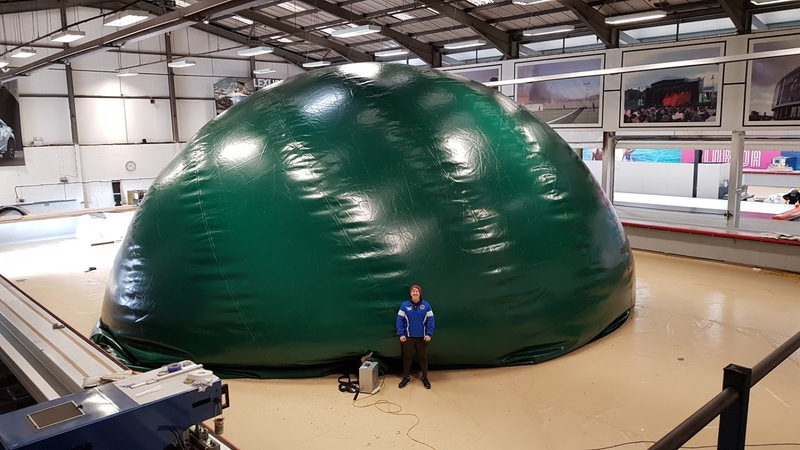 Inflation test at our production facility of the inner liner for a 975 cubic metre gasholder at Sandown, Isle of Wight.